“Do you come from another city?” I asked. “Yes, from the south of Xinjiang,” he responded. “You look very young. Why don’t you go to school?” I asked. “Didn’t you guys tell the government this? Didn’t the guy receive any punishment for this?” I asked. He continued, “The government didn’t give this Tungan [Hui] woman a death sentence, who was caught with 2 kg heroin) When the people start to forget her a little bit, I’m sure they will accept a bribe and release her. For us, it is impossible to survive even with a clean job. 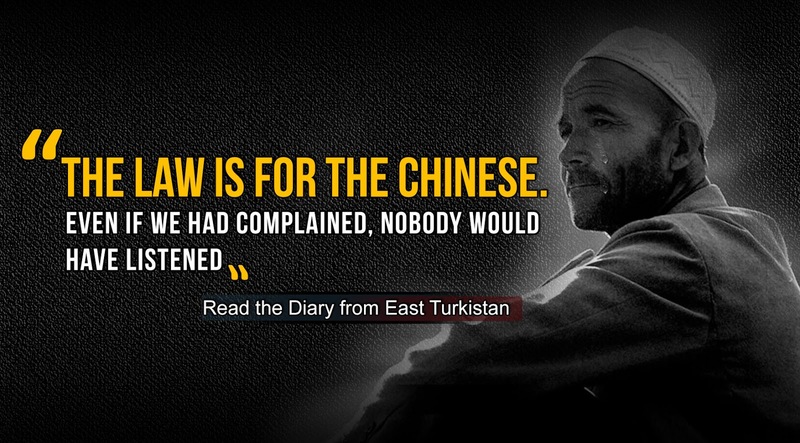 Now I understand why some Uyghurs risk their lives and go to Beijing to sell heroin.”. -I got a boy for you; do you have a place for him? -Don’t tell me you are trying to collect jobless boys and girls at the street, sweetie. -We already have 30 kids working here. All of them are homeless, if he has a home sent him back please. -I don’t think it is a good idea, he has nothing to eat if he goes back. -I know you’re gonna insist, send him to me, I am in Budun restaurant right now. -Oh! My God, thank you! God bless you! The boy that I send to my friend got the job from Uyghur restaurant, but what about the thousands of other young, jobless and desperate Uyghurs? I couldn’t answer, because there was no answer.